Three weeks ago, my MacBook Pro crashed. It had seen a year of good service, and because it was my first ever Mac, I’d just about set it up to workexactly the way I wanted it to; and it crashed. The Apple service provider in my city said that the logic board had died, and they would fix it in a jiffy. The “Jiffy” turned into a 3 week ordeal that I will not describe here, but the Mac is back, and Oh! What a joy it is to have it back. Now, this is not a Mac Vs. PC thing. What I’m trying to push here is customisation and familiarity of your equipment and how that affects the ways in which you use it. You see, in those three weeks, I had to go back to my PC, running windows; a computer that I’d not used much in the last year, except to play a game or two. Now, I was forced to re-set it to work the way I wanted it to. And it was a pain. The pain of re-familiarisation and customisation. Almost everyone has faced a similar issue some time. So, now pause to consider this from the perspective of your camera usage. Do you shoot in Manual exposure mode? Do you have a favourite lens? and on that lens, do you have a favourite aperture that you move to more naturally than others? Yes? I know that I do. I have a favourite aperture: f/2.8 and focal-length: 24mm (so far). I have a favourite lens: the Canon 24-70mm f/2.8 L which suits that preference (and it may have had a serious influence on me towards forming that preference). And I shoot most often with aperture priority though I do shift to manual exposure when things get rough. It pays to know where your equipment is good, and where it’s not so good. It pays to know what you like best from it, and how to set it up to get what you want withough much thought. It pays to try out all the settings on your camera. You’ll discover features and capabilities that you never knew existed. It pays to read the manual so that you know the heart of your camera just as well as you know it’s body. It pays to buy equipment that you’ll love and use frequently. Don’t buy it because it was available at a great price. Buy it because you’ll love using it. It pays to work out how to best set up your equipment. Do you prefer a tripod, or a monopod, or even a bean-bag…? Try them all out, and choose the one (or ones) that suit you best. It pays to be open minded… and that’s the biggest one of all. and that’s the long and short of it… I’ve got my Mac back… and it’s still set up just the way I like it. I’m going to be taking notes so that the next time it crashes, or if I buy another Macintosh, I’ll know just how to set it up. The software, the settings, everything. It pays to know your equipment. You’ll be more comfortable working with it, you’ll care more for it. 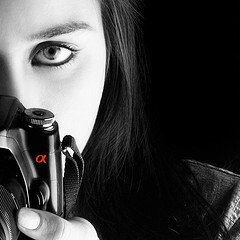 Most of all… It’ll help you improve the quality of your photography. So, how well do you know your camera equipment? and do you tweak it to suit your shooting style? Do let us know in the comments. I completely agree the moment I have to use something unfamiliar it takes me twice as long to complete a task. Mandy: Congratulations on the 450D. You’re right… Familiarity quickens your reflexes and you’re not fumbling about to find the right controls. Hi, I’ve got a Nikon D80 and I customise a lot of the settings to suit what I need to do to my photography on computer. Like you mentioned its better to do just that and to know your equipment. Every week I spend some time learning the features of my camera although I’ve had it a year almost. With more expensive equipment there is more to familiarise yourself to and I’m quite happy with the level of camera I have for the moment. I must admit when things get to be more challenging I tend to check my equipment and settings first but that’s also the time I could be missing a shot. I think its important that you “know your equipment” so that you know exactly what is causing something to happen.